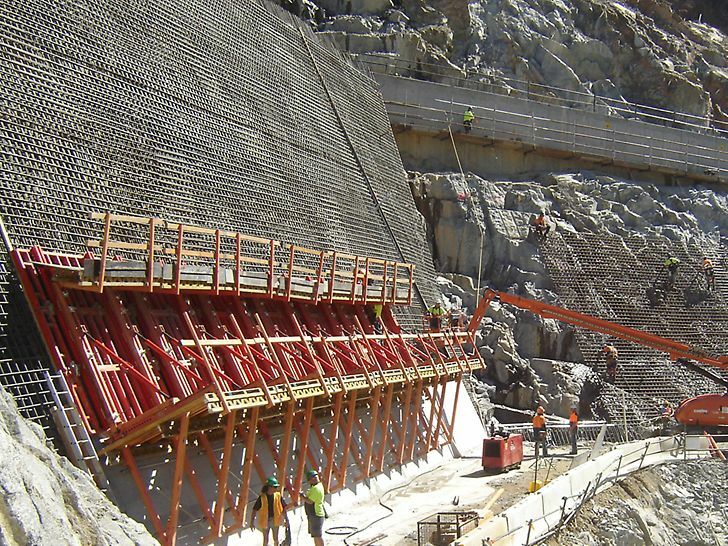 One of a series of dams that forms part of Australia's famous Snowy Mountains Hydro Electric Scheme. 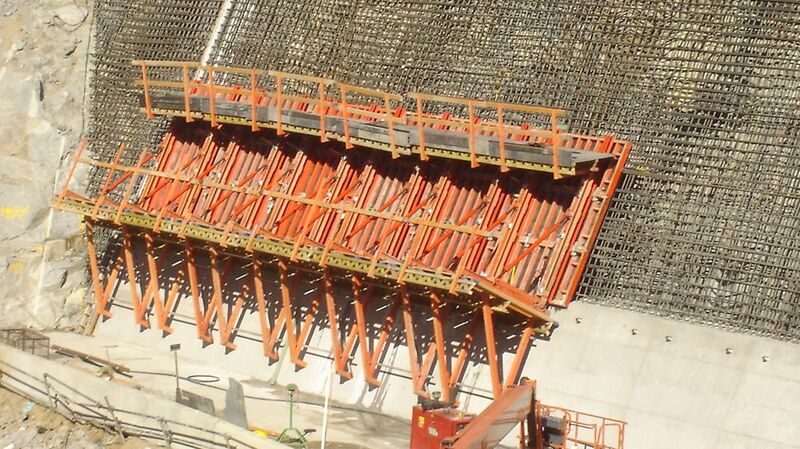 TRIO was the obvious choice for the formwork system. 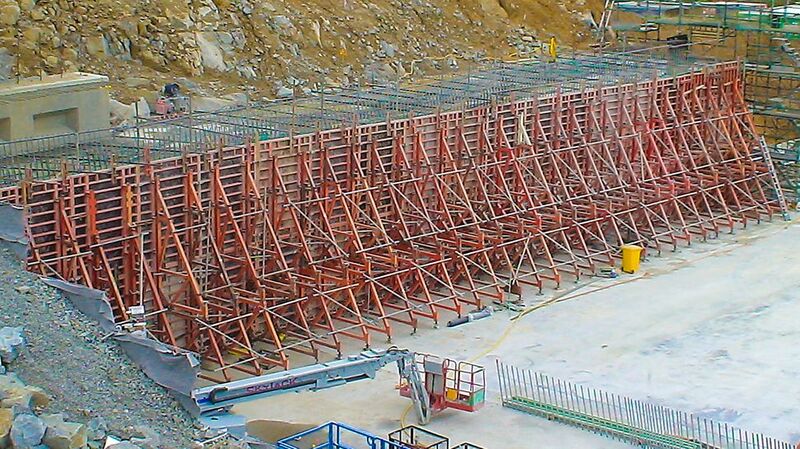 For the training wall, TRIO was combined with SB to do the first 7.2m pour, subsequent smaller pours were tied back to the rock or were single sided for the spillway walls. 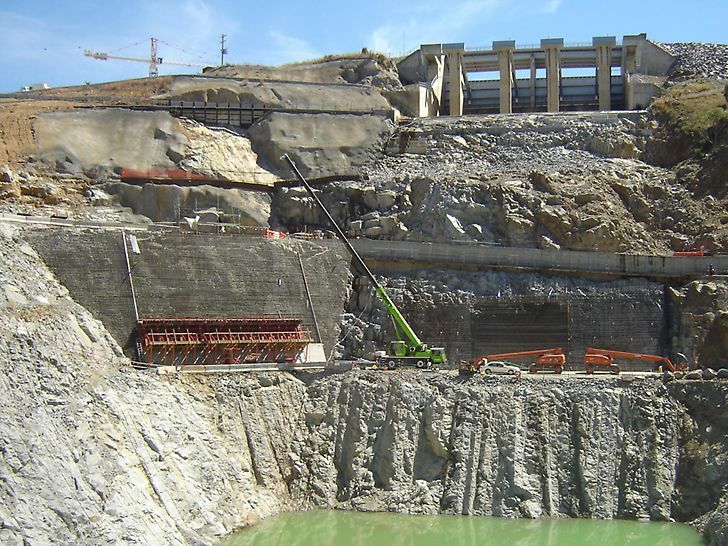 TRIO was combined with SKSF240, this meant no ties through the face and was a faster and more efficient way of constructing the spillway walls.